January is usually the month when gurus launch their previsions for the New Year. Here are five trends that are bound to happen in 2012. One of the first big changes will be the disappearance of hundreds of local skateboard blogs. Blogging was born several years ago from readily accessible templates like Blogger, Wordpress and Tumbler. Almost overnight neophyte journalists started blogging with almost perfect ease. Their blogs looked very professional and neat. But rapidly, the new bloggers realized that without original content and daily updates, their website only attracted 5, 10 or 20 people a day. Even if the vast majority of skateboard bloggers do it because they like it, without looking for monetary gain or fame, at the end of the day a pool of 20 daily readers is not enough to monetize the blog or even to reward the ego of the blogger. That’s a bummer. The only blogs that will stay are the one done by big skateboard companies that have nothing to loose since the costs of the websites are embedded in their marketing costs. Or those written by pure had-core skaters for who, attendance or affluence, is not a goal. Among the blogs that will survive the big wipeout of 2012 are Ozzie Ausband, Seb Carayol, Kilwag, Chris Eggers, Peter Dietches Diepes and Brandon Wong. To put things in perspective, only very small or very big skate videos websites will survive 2012, leaving medium sized site bloodless. In 2012, there will be more partnerships between skateboarding event organizers like Dew or Red Bull with major media companies beyond Fox’s Fuel TV and NBC Sports. A place Like Ocean City has already applied to host one stop of the Dew Tour in 2012 because the 2011 spillovers from TV royalties have left the city awash with money. Red Bull's Signature Series for NBC is another manifestation of that trend. Especially since early in 2011 we saw the Madison Square Garden Company celebrate the launch of their action sports and lifestyle division with the Air in the Square MegaRamp event. My blog will continue no matter what. 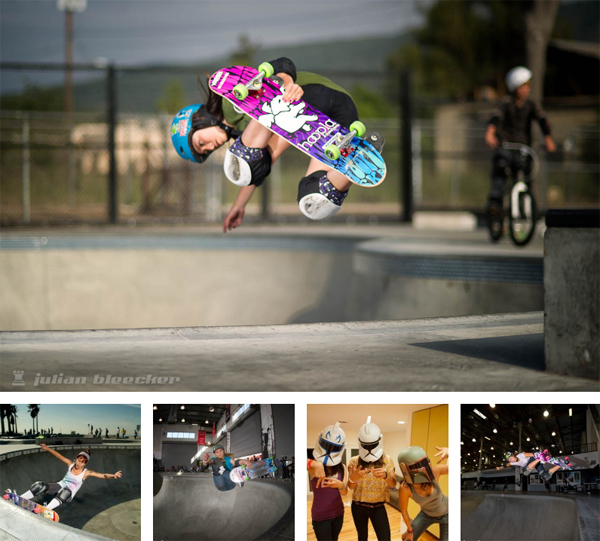 I have fun doing it, even if not one person reads it, I don´t care as if I would not care if I was the only skateboarder on this planet. I will continue like I will always continue to skateboard. Basta. Who the F is Brad McClain?